Discover our range of Cosmedix skin care products, which boast 100% skin-friendly formulations, super-clean ingredients and pure natural botanicals to deliver visible results from the first applications. Transform the texture and appearance of your skin with potent alpha-hydroxy acids, improve stressed and tired-looking eyes with free radical-fighting antioxidants, and uncover a brighter complexion with AHA and essential oils. In addition, you can enhance the rejuvenating effects even further with our purity masks formulated with oil- and dirt-absorbing bentonite and kaolin clays, and a proprietary Copper Complex to promote firmer, smoother skin. Here at MySkinSolution, we advocate having a well-planed skincare regime that works for your skin type. If you’re battling acne or blemish-prone skin, it’s best to opt for a daily cleanser that is formulated with key ingredients to deeply cleanse your skin, unclog pores, and balance oil production without over-drying the skin. The Cosmedix Purity Clean Exfoliating Cleanser combines the antiseptic, antimicrobial, and antibacterial powers of tea tree and peppermint essential oils with the exfoliating action of L-Lactic Acid to purge impurities from the skin and reveal a brighter complexion. Foam up one pump and apply to wet skin, massage, then rinse thoroughly. Fight blemishes with the Cosmedix Clarity Serum, which is formulated with powerful ingredients to address the concerns of oily, breakout-prone, and congested skin. A potent blend of salicylic acid and retinol attached to an amino acid chain help reduce follicle blockages, effectively minimise pores, and promote resurfacing, leaving your skin looking and feeling perfectly clean. Chamomile and willow herb will soothe any irritation or redness, while tea tree oil will eliminate surface toxins and enhance the clarity of your complexion. Apply it either all over your face or to problem areas. The Cosmedix Clarity Serum should be applied before sun protection or moisturiser, and should be used as part of your day and night skin care routine. 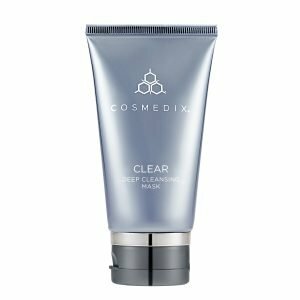 Harness the power of naturally-occurring bentonite and kaolin clays to tackle blackheads and acne with the Cosmedix Clear Deep Cleansing Mask. Fortified with a soothing blend of sulphur and minerals, this mask draws out impurities embedded into the deeper layers of the skin, leaving it fresh, dewy, and visibly clarified. With added salicylic acid, it decongests, exfoliates dead skin cells, and prevents unwanted and unattractive shine. The Cosmedic Clear Deep Cleansing Mask is a staple of natural skin care for oily skin. Simply apply a small amount all over your face and leave for about 10 minutes before rinsing. Use a few times per week. 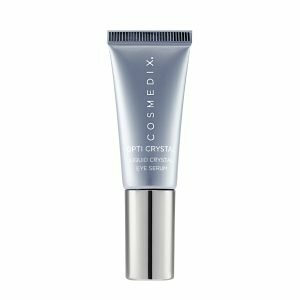 Defy aging with this super-nourishing, antioxidant-supercharged Opti Crystal Eye Cream by Cosmedix Skin Care. Not only is it formulated with alpha lipoic acid derived from 100% natural coconut extract for intense hydration and strengthening, but it also packs a proprietary Copper Complex specifically developed to encourage a firmer texture. The delicate skin around your eye area will be fully protected from free radical damage, thus improving the appearance of fine lines, wrinkles, and other pesky aging signs. Look radiant and revitalised with Cosmedix. Energise your skin with pure vitamin C—a powerful and highly versatile antioxidant with a myriad of scientifically-proven anti-aging benefits. 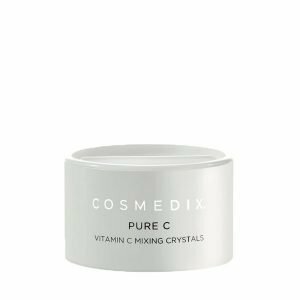 The Cosmedix Pure “C” provides 6 grams of stable vitamin C that you can add to other skin care products to brighten the skin, prevent and repair signs of environmental aging, and boost the skin’s ability to resist sun damage. This unique mixing powder doesn’t activate until mixed, so it stays fresh and potent for longer. It’s an ideal addition to your morning skin care routine. 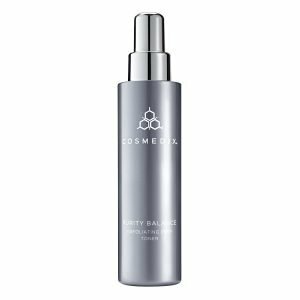 The Cosmedix Purity Balance Exfoliating Toner is packed with skin-loving ingredients to enhance your complexion. A powerful blend of AHAs and BHAs work to eliminate excess oil and rid the skin of impurities, helping you achieve a professional microdermabrasion result at home. The alpha-hydroxy and beta-hydroxy acids in the formulation sweep away dead skin cells, even out the skin tone, reduce wrinkle depth, and enhance suppleness, resulting in better absorption of active ingredients applied to the skin after use. Apply 2-3 pumps to a cotton pad or ball and wipe it all over your face or on areas of particular concern. To avoid over-drying your skin, use every other day. Enjoy the transformative powers of Cosmedix skin care today. With a concise range of products and a wealth of science and research behind it, Cosmedix provides an uncomplicated solution to all of your skin concerns in the form of toners, moisturisers, serums, and masks. MySkinSolution stocks the very best of Cosmedix—explore the range below, or contact us to arrange a consultation with one of our specialists.